Seven’s new entertainment series, Mesmerised featuring hypnotist Peter Powers, will begin on Thursday next week. Powers, who has previously appeared in The Power of One, will hypnotise unsuspecting public on the street, at a public event, or in elaborate hidden camera set up -although the series did previously ask for participants a year ago. Peter Powers, the world’s funniest hypnotist, is on a mission of mischief as he brings his wicked ways to the new series Mesmerised, Thursday October 15 at 8pm on Seven. Get ready to see some of the most hilarious and outrageous behaviour ever to be seen on television, as Peter’s hypnotic subjects are let loose on an unsuspecting Australian public. Take 23-year-old Dylan, whom Peter convinces to marry a new-found love… only problem is, she’s an alpaca. Or a speed dating night, where Peter sets a trap for an unsuspecting suitor with hilarious results. And in a world television first, Peter attempts to hypnotise and control 29 people and then unleash them on the public – as zombies! With Peter Powers around, no one is safe. Born in Lancashire, UK and now based in Queensland, Peter started honing his hypnotism skills aged just 12-years-old. 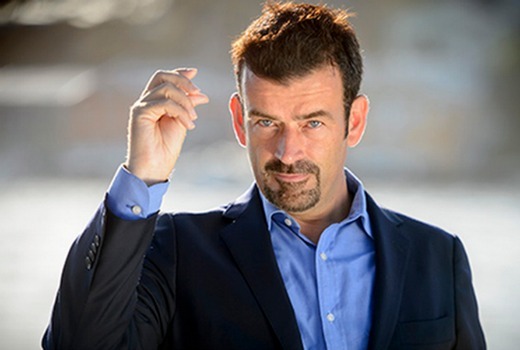 Now a world renowned stage and television hypnotist, Peter has starred in several popular subscription TV series including The Power of One and Street Hypnosis. The world record holder of being the fastest hypnotist, as well as inducing the longest hypnotic sleep documented, Peter regularly tours Australia, the UK and Europe, performing cheeky hypnosis on random audience members. Produced by Endemol Australia, with Channel Seven’s Paul Melville as Executive Producer, Mesmerised will have you in stitches as you witness the genuine power of hypnosis and Peter’s trademark playful and wicked sense of humour. Expect the unexpected. Thursday October 15 at 8pm on Seven. Hopefully this gets smashed by The Bachelorette. I think it will, especially with the odd start time. Seven really need to sort out H&A. They can easily go back to 5 nights now the AFL is done for the year. Sounds awful. The people who watched all those internet pet videos will probably love it.